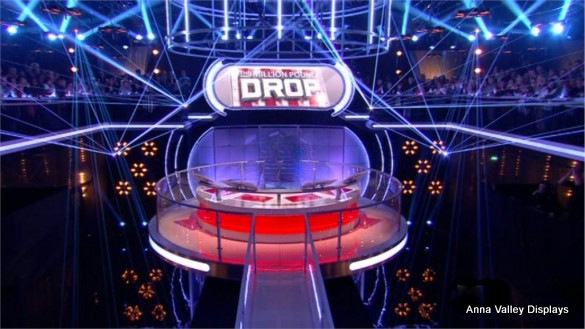 The Million Pound Drop continues to be one of Channel 4’s most popular and successful shows. 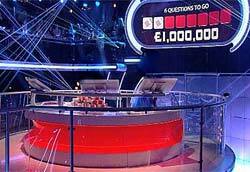 Broadcast live, The Million Pound Drop features a flown Toshiba 6mmhigh resolution LED screen, built in a concave curve. The innovative and practical set (the money has to be able to drop! ), is designed my Julian Healy with Lighting Direction by Ghurdip Mahal. The Million Pound Drop is produced by Endemol TV.